Reaching the Lost "Across the Pond"
If you have ever experienced a true “life change” during your journey and been able to couple that with being able to share the talents God has blessed you with, then you will be able to relate to this article. That life change I experienced during my opportunity to help a special church in Risca, Wales; will always be one of the highlights in my life. I present this article at this juncture in my career for two reasons. The first is inspiration; to share with you the experience of how God can work anywhere across the world to renew and rebuild hope. 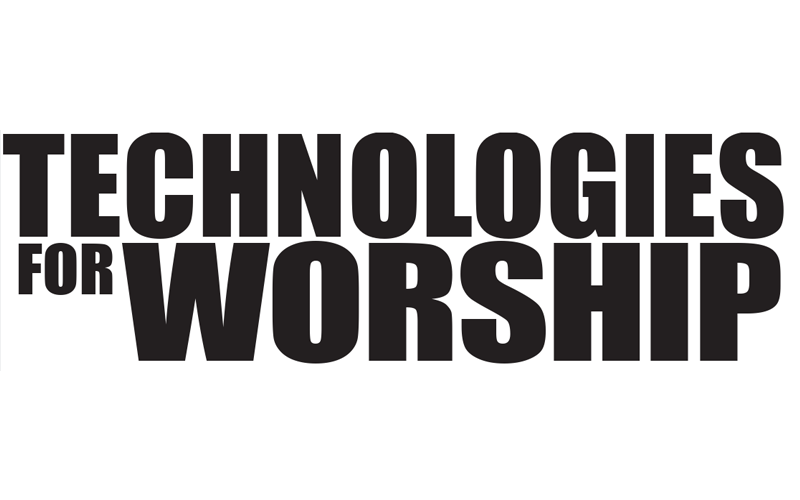 The second reason is “choice”; the “choice” that churches across the world have to make in reference to embracing the use of technical tools in the worship experience. We have these tools at our disposal; tools that can truly bridge and support the word of God, to reach the lost around the world. Some special friends of mine, Mike and Mary Thomas, from Weymouth England, are deeply involved with mission work in Europe and across the world. 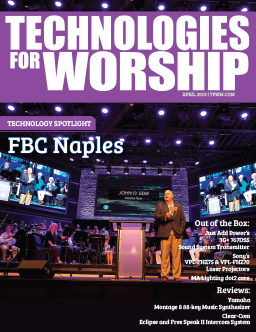 While Technical Director several years ago, at a large cutting edge church in Tampa, FL, I helped prepare some technical applications for a church in Weymouth. As we worked on that project we became more and more aware of how necessary the education was, regarding technical tool applications throughout churches in the U.K. and that like the U.S. , the U.K. was experiencing a plateau and decline of church attendees. With that focus in mind, and through the communication link provided by Mike and Mary, we set our sights directly towards a church in Risca, Wales; Moriah Baptist Church. In January of that year Pastor John Hayword and his wife Ann, were invited to come over, meet us all and experience a taste of what we would be able to bring them in the “arts” area. During this time they also shared what they felt was needed in reference to other critical areas such as the children’s ministry, youth ministry and small group areas. It was decided during our meetings that, due to the unknown circumstances concerning the A/V needs and requirements, I would make a trip over and gather all of the information needed to make the trip go smoothly. Prior to the trip and through some intensive research, I contacted “Crystal Communications”, an A/V company in the capital city of Cardiff. In February I embarked to do a site check and meet with them to help us put together what we needed. Little did I know what I was about to experience. Even though we had met briefly, I was about to really get to know one of the most Godly pastors I have ever met in my life. I was also about to meet and talk to some very special people and find out how deeply the Pastor, elders and church body cared about revitalizing, growing and offering something new and exciting to help feed the current members of the church, and at the same time reach the lost of Risca and the surrounding towns. Upon arrival I was greeted by the Hayward’s in one of the most beautiful countries I have ever been to. The church is set in the center of a small Welsh town surrounded by beautiful hills, verging on mountains, landscaped with warm and cozy homes, many with flower gardens with every color imaginable. Founded on Christmas Day 1835, moving to this location in 1894, this beautiful nine-hundred seat church has seen some of the most significant changes in the history of her country and the Christian world, including the Welsh Revival. It was truly filled with some of the most wonderful people I have ever met. It is also a community like so many in the U.K. , the U.S. and yes, the world, where the people work very hard, have good times and bad, but oftentimes find themselves in the pubs and bars rather than in church trying to find a way to wash away the problems and hardships they do face. For the next couple of weeks I traveled this wonderful community with Pastor John, as well as met with the elders and members of the church about their current needs and wants. With eyes filled with emotion, they would ask me; “What can we do to help rebuild our church body and reach the community”. That opened a door that I love to talk about concerning how important and necessary it is to embrace today’s technical tools in order to communicate through means that are familiar, non-obtrusive, new and exciting. I shared with them that the lost need an environment that is familiar and safe so they feel comfortable coming in to “hide” a while and check this new experience out. I also met with Rob Taylor and Richard Mortimore from Crystal Communications who were two of the most accommodating techs I have ever worked with in the industry. With the needed technical information in hand, along with the thoughts, needs and wants of the church body, I returned back “across the pond”. As the months passed and more communications took place, we put together teams, not only in the technical areas, but of course in music/band, drama, children’s ministry, youth ministry and small group ministry. We kept in direct touch with Pastor John and the elders in reference to what we were planning. Another incredible person that became a friend was Adam Seabourne; without his help in procuring and providing some last minute equipment needs, things would have not gone as smoothly as they did. His servanthood gift alone made quite an impact on many of the crew members from our church. Technically we offered and explained how we would like to use the media tools of audio (audio system), video (screen and projector) for slide support and a small lighting system consisting of a few par cans and a couple of ellipsoidals, just to do some special lighting during evening services. Due to the nature of this very new experience we found that the church felt a bit uncomfortable with the use of lighting instruments in the sanctuary, which we understood and honored their request. It was of course our goal to help subtlety and unobtrusively implement these tools. As plans began to solidify, we decided that we would build the services starting on Thursday, giving us time to arrive on Wednesday, begin set up and rehearse. We would begin with a format that would be contemporary, using “traditional conversion” material in the music, working our way up to a presentation of the “Holy Ground” special on Sunday evening. The services would utilize the main arts tools of band specials, choruses (choir, ensemble and soloists), drama and video/slide support. We also decided that each of us would be staying with a member of the church family. This is something that was very important to us in reference to fellowship and discipleship. With goals in heart and mind, not knowing exactly what special experience God had planned for us all, we departed for Risca. Upon arrival and weary from travel we were warmly greeted by many from the church who provided a grand dinner to kick things off. That evening and the following day we got things set up, converted (220v world over there!) and running well with the help of Rob and Richard from Crystal Communications. Providing and having the technical tools of an audio system and video system in this church was a totally new experience for Moriah and quite frankly the community as a whole. Special considerations had to be made, like the lighting issue, so that this experience would not be overwhelming. Blending these tools subtlety and unobtrusively into the worship experience was key. In the U.S. it can take from five to ten years for a traditional church to experience the total paradigm shift into a more contemporary style of worship. In the U.K. it is even longer, sometimes taking fifteen to twenty years for the shift to totally take place. 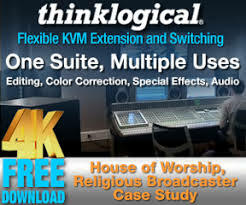 The audio system, consisting of the basics (mixing console, snake, mics, outboard effects gear, amps and speakers) was carefully placed around the sanctuary so it would provide correct support, yet not be obtrusive. We supplemented the front of the sanctuary with a series of risers to provide not only a different look for the ensemble and choral aspects of the services, but for the drama, providing them a stage for their ministry. The use of video in the service was the most unique challenge of all, in reference to where we would place the screen and the projector. The church ended up being very open to having the video screen placed in front of the organ. One has to understand that Moriah’s organ was absolutely beautiful and very important to them, however this was a wonderful moment for me, as I have seen churches split over things of this sort, because they really understood the importance of what we all were trying to accomplish! From the beginning of the first service, word spread across the community of what was taking place. Of course we had done some very minor marketing with banners and fliers, but word of mouth was of course the key. As each service grew, more and more came from all over the region. We were even approached by some of the decision makers in the church, who stated that things were going so well that some of the music we had at our disposal could be used to bring things up a notch. We began a subtle outreach out into the community and tried different things like placing speakers at an acceptable volume outside the church as well as some drama and music in the streets. The weekend was a very special one. Saturday night was an incredible outreach to the youth and families of the town and surrounding communities, as Mike Pachelli and our band provided an excellent concert that packed a local hall. However nothing could even begin to describe the emotional impact we were all about to experience the following day. God was literally about to show up in a way that is still indescribable. On Sunday afternoon, as we began to prepare for the Holy Ground service, we began to see many people arriving. As time drew closer we began to see this 900 seat church filling up and by the time it was ready to begin the service we were at standing room only, out the doors and into the street! This was an emotional impact that had us in tears and is still very emotional to me even today. Through God’s vision, we reached not only the community of Risca, but also many others from all over Wales who came to experience “a new way to worship”. The emotion of the altar call was an experience never to be forgotten. As we said our good-byes on Monday morning, we felt that God had allowed us to create an experience that is still alive today. Staying with the families of the church we all experienced a relationship unlike any other. Many mission groups travel and provide opportunities to experience, in a large concert hall format, a contemporary worship experience. That is a wonderful and powerful thing, however I truly believe that building relationships with those you are trying to educate and help, one on one, is very important. Not to mention the friendships that were made. One can pick up a lot of ideas by seeing the large-scale productions, but its nothing like working right alongside those that are yearning to make it happen. To this day I am very encouraged when I receive a call or hear that little by little, having started with special days like Easter, Christmas, etc, Moriah is using technical tools in their worship experience and have individuals stepping forward and volunteering to help. They have the vision to grow God’s kingdom by reaching the lost for Christ and one can only pray that it is contagious across the world. Through God’s direction and blessings we accomplished our goals and then some. In the pursuit of the building of God’s kingdom, I truly hope that this brief article is an encouragement to pastors and churches all over the world that are wondering…”whether or not “change” is something we should embrace”. It is a choice that has to be made. Bottom line, we have to keep up with the times. Yes, you may lose a few in the journey, but the individuals that you keep are those that understand and embrace the reason that this “new vision” is invaluable. They are truly the workers for the harvest with a willingness to learn and apply. For the local church throughout the world, it is time to make the choice: continue to “sit and soak” or become fishers of men and provide a worship experience that will reach the lost for Christ.